Welcome to Menu Cover Central! 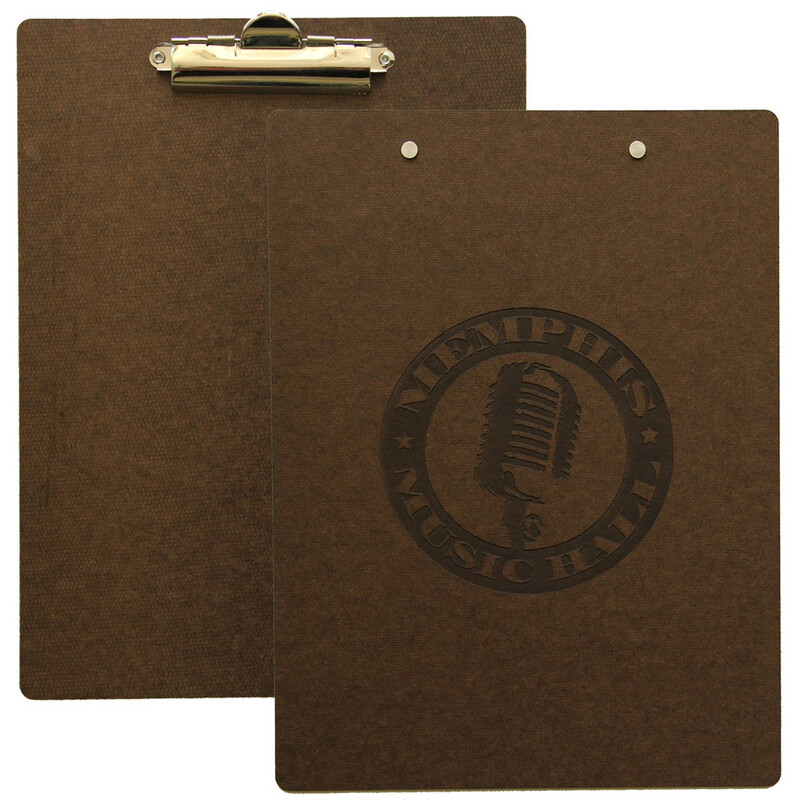 Hardboard Menu Boards with clip come in a variety of standard sizes with custom sizes available. Hardboards are constructed from environmentally friendly recycled materials. May be laser engraved with your logo or custom artwork. Minimum order 15 pieces. Quantity discounts of $0.50 off each for a quantity of 50 and $1.00 off each for a quantity of 100 automatically applies. Hardboard Menu Board with Clip 5.5" x 8.5"
Hardboard Menu Board with Clip 4.25" x 11"
Hardboard Menu Board with Clip 4.25" x 14"
Hardboard Menu Board with Clip 5.5" x 11"
Hardboard Menu Board with Clip 8.5" x 11"
Hardboard Menu Board with Clip 8.5" x 14"